Teens – Whatcha Gonna Do This Summer? Teens learn valuable life skills through volunteering with 4-H.
Summer – no school, lots of time – what’s a teen 4-Her going to do? Many teens will be searching for jobs. Some will be looking for summer employment to pay for 4-H events, or earn extra spending money, or save for a car, clothes or college. But will they find a job? Some won’t. If they can’t get a job, encourage them to volunteer! The current job market is dismal. Pick up any newspaper, turn on any news program or just listen to the people around you. 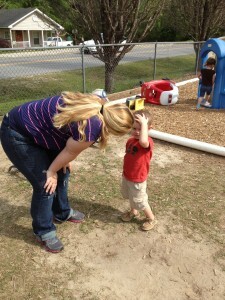 It’s hard to get a job! The job employment rate for American teens is at an all-time low. Teens that are fortunate enough to obtain a summer job are also handed a mixed blessing. The job may prevent them from participating in summer vacations and activities with family and friends. The cost of working: taxes, transportation, clothing or uniforms, meals etc. may leave little in net income. And 4-Hers who have jobs often have to forego summer 4-H events . So how do we help teens make the best of their summer and also help prepare them to enter the workforce? Volunteering provides more flexible scheduling allowing teens to participate in 4-H and other summer activities. Volunteering provides opportunities for teens to serve as teen leaders, peer educators and role models to younger 4-Hers and other youth. This also allows teens to utilize their 4-H project skills and knowledge and enhances their 4-H portfolio and resume. Volunteering provides teens opportunities to investigate different career fields and future jobs in places that they are allowed to volunteer but where they could not be employed, because of personnel policies or their age, lack of knowledge, skills or experience. Many college degree fields have a “volunteer or work” hours of experience requirement that must be met before an applicant can be admitted to the degree program. Volunteer hours of service are often a criteria for awarding scholarships. Volunteering offers teens opportunities to network with others. Remember the old adage “it’s not what you know, but who you know” is still true in many instances. So for teens that can’t find or don’t want to work this summer, remember volunteering offers many benefits. Who (or what) needs help in your local community? Ask for youth input for a specific area, location, or population. Define learning objectives for the project. These can be general or specific, but the service project should be guided by an educational goal. To engage youth in a true service learning experience, ask reflection questions during the actual service project. Ideally, service learning is a continuous process. Whether giving an illustrated talk on increased awareness of animal abuse or volunteering at a local hospital on their own time, service learning hopes to foster “self-worth, citizenship, critical thinking skills, [and ] responsibility” in youth (Mashburn, Harder, & Pracht, 2011). 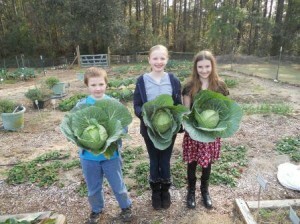 The Leon County 4-H Horticulture Club grew and donated over 150lbs of fresh vegetables to local food banks in 2012.